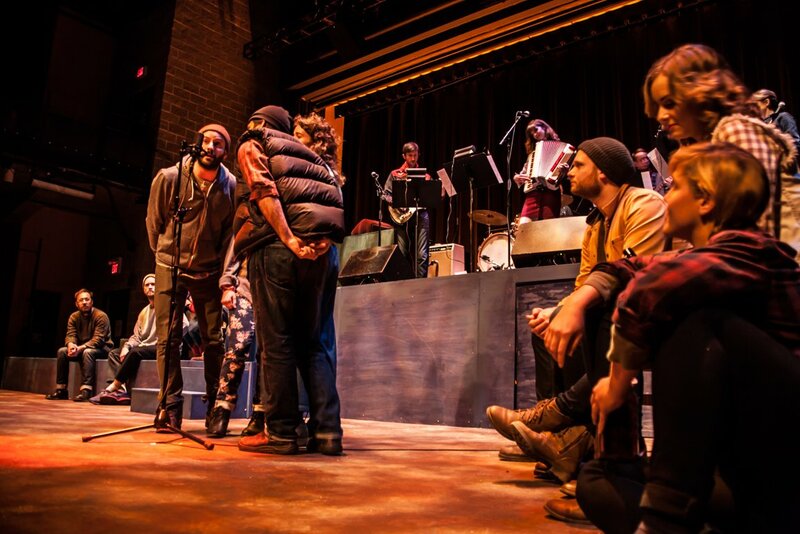 Since August, I’ve been in rehearsals for Klasika, a new musical by my friend and fellow MFA colleague Barbara Adler. But Klasika is more than just a musical. It’s been a year-long project of Barbara’s, which has included trips to the Czech Republic (to research tramping and then accidentally fall into a role in an HBO Europe staged-documentary called Amerika); collecting bandannas and cowboy-inspired clothing items from local thrift stores; and Czech-inspired vandrs in BC’s rural and urban landscape. Consequently, the process of building Klasika has felt less like a traditional rehearsal process and more like a long-term collaborative effort between friends, a series of small acts of editing this strange Czech subculture to see how it might fit into our lives, and how we can find the same feelings of freedom and community in the city of Vancouver. There have been vandrs along the seawall in search of wilderness and plywood; a community event in Pandora Park featuring denim-crafting, sharing songs, and watching a movie on a screen made of grass. There have also been many efforts that are less publicized, like sitting around a table sewing costumes and drinking whiskey while listening to CBC radio announce the election results, or driving to Surrey to pick up an acoustic guitar from Craigslist or a load of wooden logs. And that’s just scratching the surface of this massive, collective effort that is bringing Klasika to life. I’ve been traipsing around the city in Western-themed outfits for the past two months, in my own personal research/preparation process for playing the role of Bára, Barbara’s fictionalized alter-ego in the show. My cowboy boots are looking well-loved, and my ankles are a bit stiffer than usual these days. 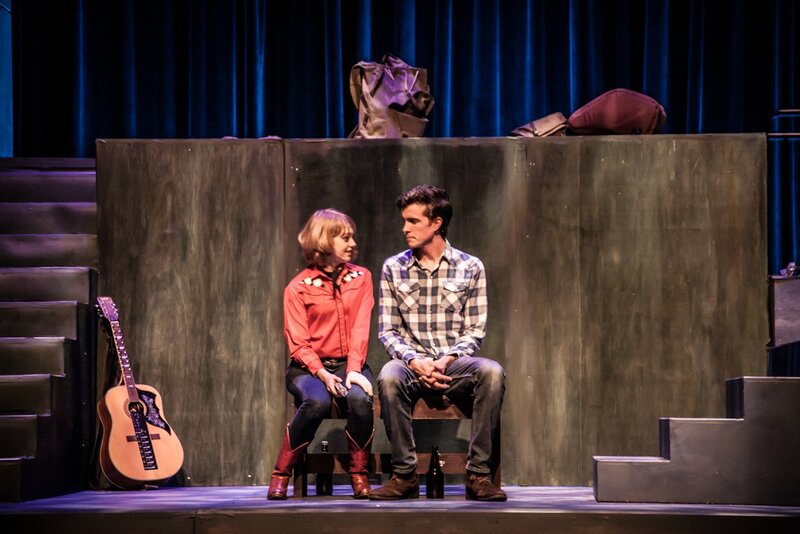 It’s been well-worth it, and tonight I get to stride onstage in bright red cowboy boots for the opening of the show. 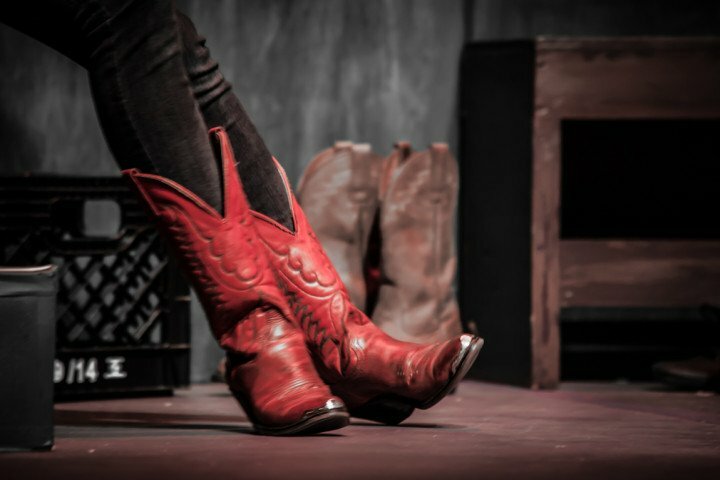 The cast and production team have been going all out for the past few weeks, and, to reference Barb the Boot Fitter, “it’s the final moments of the rodeo”. So get your tickets, get your cowboy duds on, and come on down to SFU Woodwards for this gem of a show, this mountain of a collaborative, MFA musical. We’re all pretty proud of what we’ve made.